I did not finish watching The Crown Season 2 in one day. I had three days for that. After I finished all 10 episodes, I had the urge to re-watch it, although, not all episodes. I have my favorite, Episode 8: Dear Mrs. Kennedy. The episode was funny, bold, and sorrow. Below, I listed out 6 reasons, Dear Mrs. Kennedy is spectacular. When Prince Philip was brushing his teeth in his tuxedo and Queen Elizabeth II was struggling to fit in her blue gown before the informal dinner with the Kennedys, the Queen listed out the people who wanted to sit beside Jackie Kennedy. The Queen told this when she was squeezing her body so she can appear as good as Jackie. This scene was so good. It showed that a prince was starstruck because of a first lady. The Queen felt envious towards the First Lady of the United States of America. That was mind-blowing. This obsession made this episode positively bizarre. A royal referred the Kennedys as a royal. The Queen responded that with a sarcasm. I laughed hard because of this. Who does not like a woman shine in a TV series? The Queen was the most respected individual, but with least victories. The idea of the Queen went to Ghana to fix things, the Queen who danced with an African, the Queen who does not want to be a puppet. This sudden boldness made this episode valuable. Look at the smirk the Queen gave to her husband. On fleek. 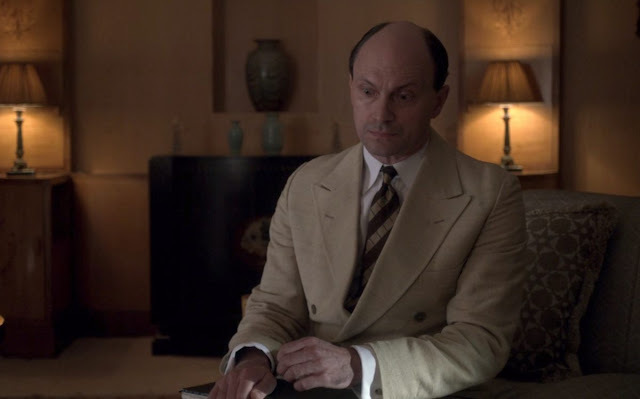 Michael Adeane, Baron Adeane as portrayed by Will Keen. Martin Charteris, Baron Charteris of Amisfield as portrayed by Harry Hadden-Paton. Michael Adeane was the Queen's Private Secretary while Martin Charteris was her Assistant Private Secretary. Their reaction to the Kennedys' blunderous mistake on addressing the royals was laugh-worthy. Alright, Your Majesty, we know you pursed your lips and you rolled your eyes because you felt cringed when you heard the word 'royal' between 'your' and 'majesty'. Even the British Prime Minister, Harold Macmillan and his wife, Lady Dorothy Macmillan joined the club. Things even got funnier when the Queen wanted to give the Buckingham Palace tour to Jackie. When the Queen took the President of Ghana, Kwame Nkrumah's hand for the dance, Charteris' response was precious. Adeane and Charteris were both serious people in this series, devoted to their job. Their seriousness added flavor to this episode. They added salt, pepper, and sugar towards the Queen's boldness and when the Kennedys messed up the protocol. The Kennedys' appearance in The Crown Season 2 was anticipated since the trailer release. 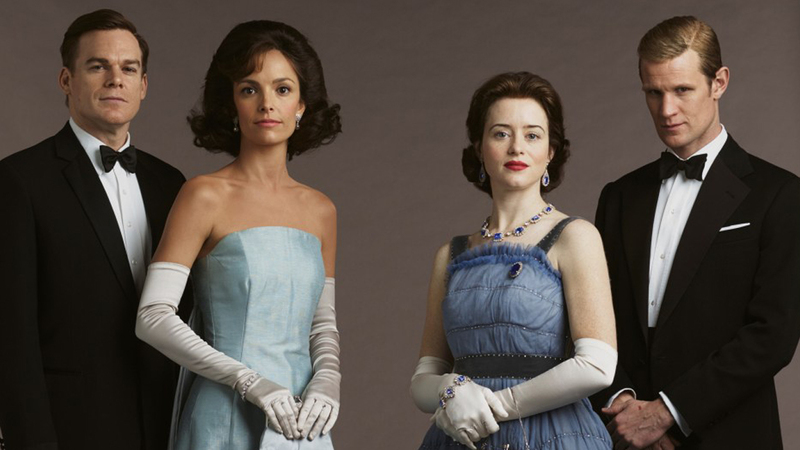 We all expected a drama will happen during the meeting between the Kennedys and the Windsors. 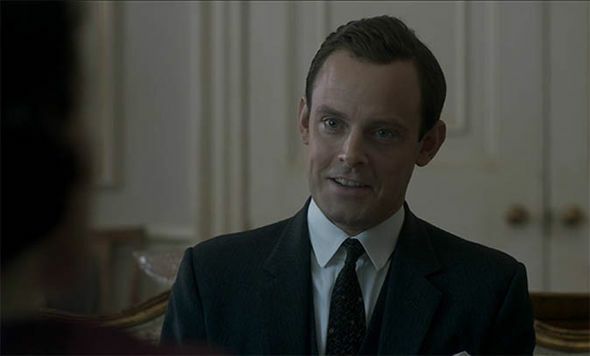 However, I did not expect The Crown writer, Peter Morgan would include John F. Kennedy's assassination in the plot, created a bang towards the end of the episode. When the assassination news was aired on the wires, with the background music that undeniably intriguing to watch, it was surreal. When the Queen wanted the palace to observe a court morning and to ring the bell at the Westminster Abbey, she did not just be bold (again) to challenge the tradition (they only ring the bell when a royal family member deceased), she also showed respect towards the United States. This respect, this act of acknowledgment, it was noble. Prince Philip's reputation was a bit tarnished in this season with the infidelity rumors. However, in this episode, despite the Prince was obsessed with Jackie, he never forgets that Elizabeth is his wife, who needed his full support. Look at how the Prince smiled when the Queen danced with Nkrumah. And then, he walked forward to see his wife mesmerized the crowd with her once in a blue moon action. That was an act of support that deserves a recognition. He was the guy who wanted his wife to shine, unlike JFK who was not so keen when Jackie upstaged him. Not to mention, fast forward decades later, not yet portrayed in The Crown, Prince Charles was also intimidated by Princess Diana's popularity. We could see that he was not that proud of his wife achievements. He was so popular before their marriage and she stole it during and after their marriage. But here, we have Prince Philip, who was denied his surname for his children, his determination to fly planes needed approval from the Parliament, his wife took precedence, his wife is the first person in the country, and when his wife continued to soar, he supported her unconditionally. Nothing major here. But, it was rare to see a royal fancied the mac n' cheese, wasn't it? Alamak spoiler sangat this article for you. Yeah, Season 2 already. Go watch Season 1. Episode 1 was a bit slow. Bila masuk Episode 2, when King George died, baru sedap. Wahh such a detail review! Seen the ads few times and I actually really want to watch it too. The story is kind of unique to compare with other now-screened series! It's about Queen Elizabeth II. Sebab itu best. Tontonlaaa. Best. Bagi siapa yang minat British royalty. Alamak.. TB lemau sikit citer-citer yang macam ni.. TB lebih kepada sains fiksyen ke, penyiasatan ke, bom-bom ke.. huhuhu.. kalau citer-citer macam ni TB leh tertido..
Ikut minatlah. Siapa yang ambil perkembangan mengenai British royalty, mereka sukalah cerita ini. Drama ini popular sebab menang drama terbaik Golden Globe. RM 51 sebulan. Ada banyak lagi cerita lain selain daripada The Crown. Ada Riverdale, Designated Survivor. Ada movies. Ada banyak. Selain daripada The Crown, ada Stranger Things, Designated Survivor, ada movies. Can can. Episode 1 Season 1 is a bit slow. But, when you watch Episode 2, when Elizabeth's father died, that's wear the sensation kicks in. Tak pernah lagi langgan netflix. Hanya dgr cerita kawan2 jer. But you must have you favourite drama right? Share laaa kat sini. Inilah review yang terperinci Lia baca dan Buat orang lagi tertarik nak tonton sekali. Tak pernah cuba lagu Netflix. Boleh langgan. RM 33 paling murah. RM 51 paling mahal. Watch. Watch. Season 1 Episode 1 was a bit slow. But Episode 2 onward, it was awesome. Especially when Elizabeth's father died. Tp berdasarkn review nie, nmpk menarik drama nie. Mungkin boleh try tgok first episode dulu. Waktu Season 1 keluar akhir tahun 2016, aku cuba nak tengok, lemauuu. Episode 1 dia lembab sangat. Episode 2 baru gempak apabila bapak Elizabeth meninggal. Aku habis tonton Season 1 pun 10 bulan lepas Season 1 keluar. Dah ketagih ini, sebab itu Season 2 yang keluar pada 8 Disember 2017 lepas, aku habiskan semua 10 episode dalam masa tiga hari. haha yes i suka tengok those that sarcastic one and last time it takes a while for me to understand what they actually trying to say. OMG, you actually, really, watched The Crown? wow details nya mengenai The Crown, i havent watch it yet maybe sat lagi nak tengok. Tengok jangan tak tengok. Memang best. Season 1 Episode 1 memang slow sikit. Tapi bila masuk Episode 2, bila bapak Queen Elizabeth II mangkat, itu baru panassss. Boleh langgan. Paling murah RM 33. Paling mahal RM 51.